When it comes to Star Trek, I’m a Next Generation guy. I never really liked The Original Series, it never had enough action or cool monsters for the eight or nine-year old boy who would watch on BBC 2 after CBBC and Neighbours had finished. I’ll always choose Jean-Luc Picard over James T. Kirk because of familiarity but I would never actually be able to fight my corner, I’m far from a Trekkie. My Star Trek movie experience also mirrored my television habits. I enjoyed Generations, loved First Contact and don’t really remember ever seeing Nemesis or Insurrection but I haven’t heard great things about them. I knew enough about the wider Star Trek universe to know who the whole Original Crew were but wasn’t exactly first in line to see a film “rebooting” the series. I still went to the cinema to see the results and from the first scene, showing Kirk’s Father, Thor, sacrificing himself, I was gripped. Literally edge of my seat at some moments and the film just wouldn’t let me go. It zipped past at a break-neck speed, had action, aliens, monsters and “inside-jokes” that even the most casual of Star Trek viewers could appreciate. It was one of those rare moments that only Batman Begins, Dark Knights and Spiderman 2 have ever had before… I didn’t want it to end and I wanted the sequel immediately! The characters were cast perfectly! There are so many things that were done right with Star Trek. The actors fit their characters perfectly. Chris Pine, who was a nobody to me before this film, is the right mix of cocky, pig-headed but also heroic to portray Kirk. Casting Zachary Quinto as Spock was a masterstroke and when he meets his future-self, you really see how well he is playing the Leonard Nimoy character. 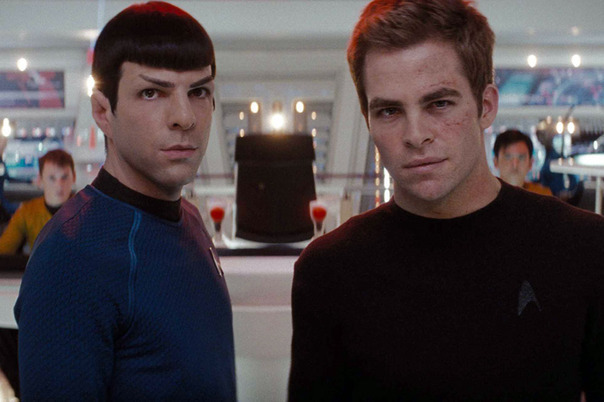 Pine and Quinto managed to embody Kirk and Spock brilliantly! It’s not just the two main characters that are done right either. 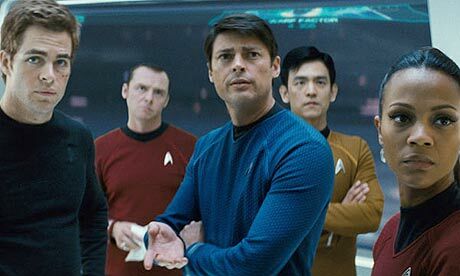 I love Karl Urban as Bones, although he’s heavily under-used but the real star is Simon Pegg. As soon as he appears as Scotty, the film is his. He delivers each line with perfect comedic timing and gets the brilliant scene-stealing lines that most actors would dream of saying. The cast is also thrown into a fantastic story. It isn’t a quick film, throwing the crew together and giving them a familiar mission to try to struggle through but it’s actually a complex, well-structured, exciting story that never feels slow or bogged down. 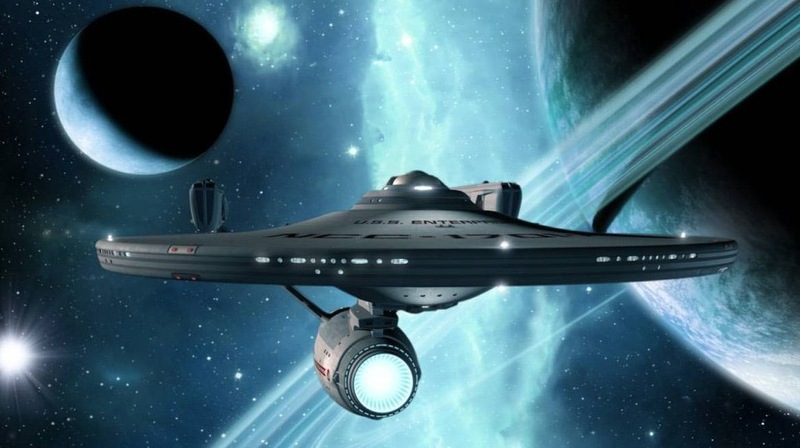 It was always going to be tricky to try to create the origins of the U.S.S Enterprise but J.J Abrams takes his time. He doesn’t make Kirk Captain immediately and he even manages to tie-in a great “redo” device, meaning he will never tread on the toes of the original series. The effects are amazing and just what a new Star Trek need! The bonus Abrams has is that the special effects can actually tell the story with justice. It is great in theory to have Kirk and Sulu parachuting down a planet-drilling machine or being chased by an Ice Monster but without the effects to create those visions, the whole film falls flat. Luckily, there is no worries here as the technology and the execution of CGI helps to tell the perfect Star Trek story. My main complaint of the Original Series was the slow-build, tension filled stand-offs with other ships and the fact that it was much more character than action driven. For a young kid, that was no good and I never appreciated the show for that. J.J seems to have recognised that because this Star Trek is very much action focused and fits in much more with Next Generation than it does the Original series and that’s something to be celebrated. It does have its flaws. The way that Kirk becomes Captain feels slightly “easy” and every time I watch the film it bothers me ever so slightly but as soon as Kirk meets Spock and Scotty on “Hoth,” I soon forget this very “easy” plot device. Overall, I love J.J Abrams Star Trek. He manages to take classic characters and re-interpret them without losing what made them so memorable and legendary in the first place. 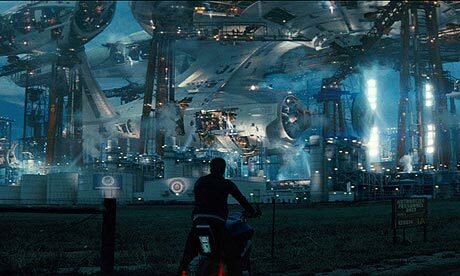 He also manages to deliver a Star Trek film filled with action, cool effects and a brilliant story. I can’t wait for the sequel. It is now my most anticipated film and I will be first in line to see it when it is finally released next year. It was great to finally see the original Enterprise in true glory and I can’t wait for the sequel! great job Ben! loved this film every time Ive seen it! …and it will be the same with this new crew.